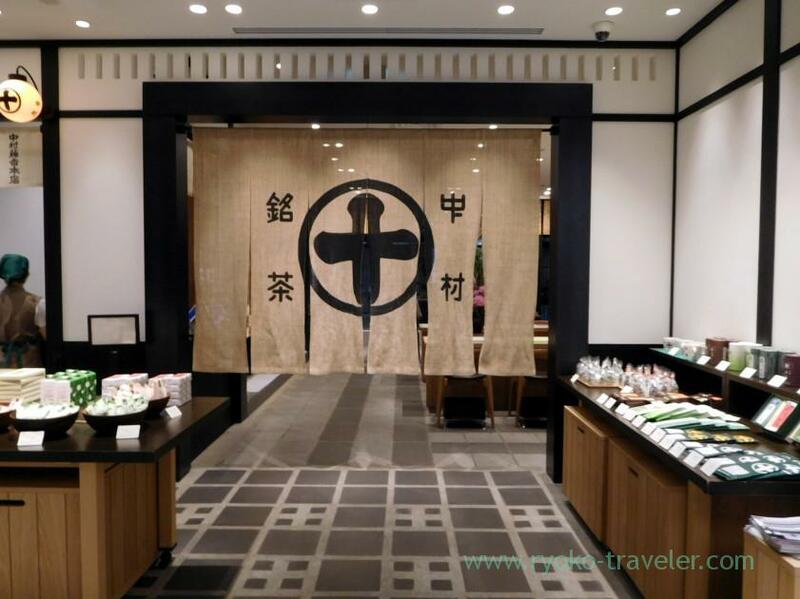 Ginza Six have many shops and restaurants, and also Nogaku-do (Nogaku theater). 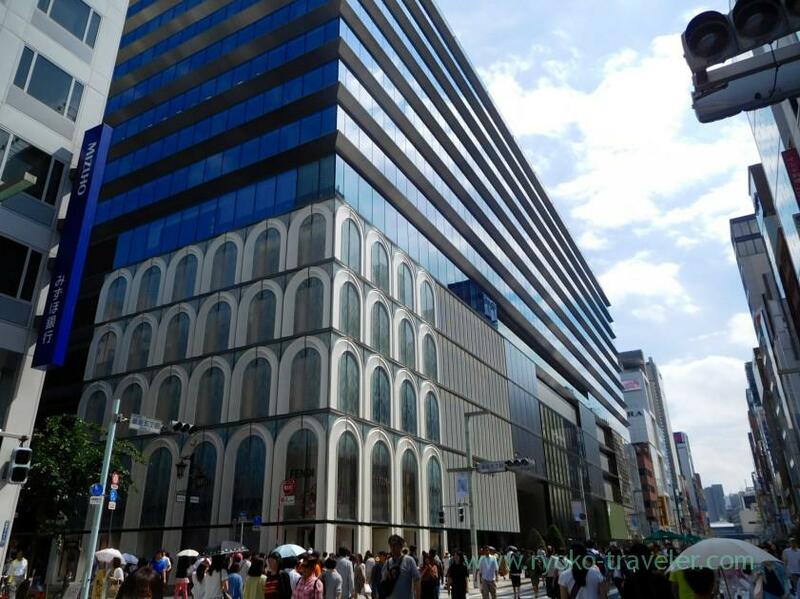 What most surprising me when I heard this building’s opening was Nakamura Tokichi Honten Ginza branch. 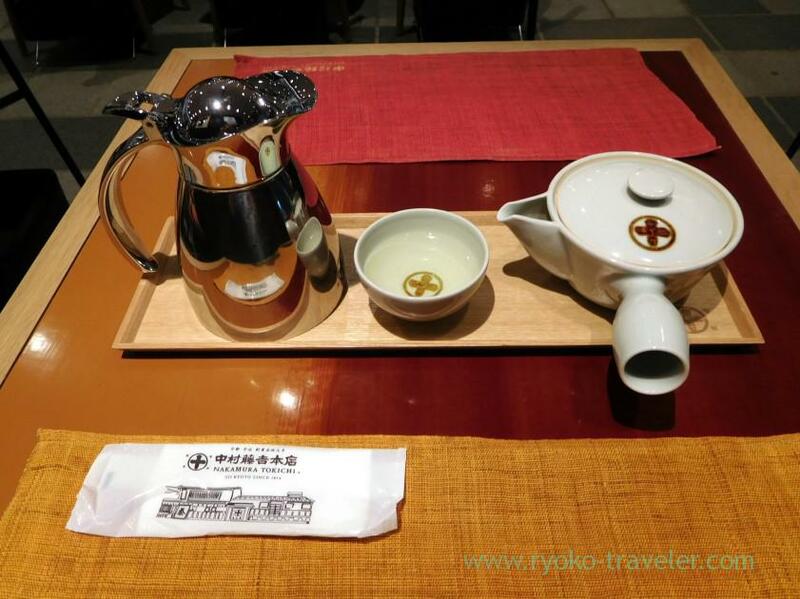 Nakamura Tokichi is long-established tea producer in Uji of Kyoto. It was founded in 1854 (Ansei Era). This is the first branch in Kanto area (Eastern area of Japan). I always couldn’t enter the shop in Kyoto because of long line. So, I heard also this branch have many people waiting (especially on weekends…). But finally I visited there after work. Nakamura Tokichi is on 4th floor of Ginza Six. When I visited there around 6:30 p.m. on weekdays, I found there were unexpectedly many vacant seats. About only 1/3 of seats were occupied. 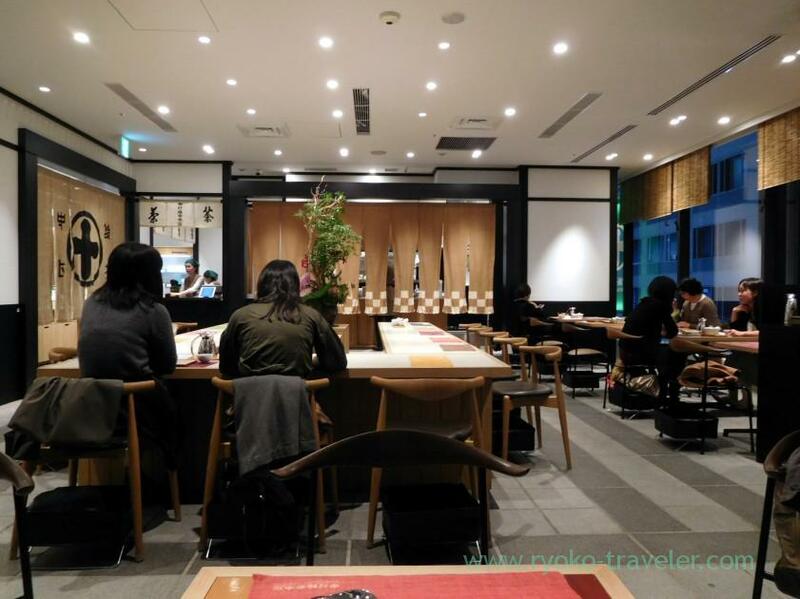 There’re counter seats at the center of the room, surrounded by tables. Most of tables have two chairs. And after I was seated, she handed menu and serve tea. Tea is included in food. She said to me, “Please wait for a minutes or so. And it’s the good time to drink”. But I thought I should wait about two minutes. They added hot water after I drunk it up. The pot have much hot water, so, many people chatted with it for a long while after finished eating. When it isn’t busy time, this shop is really comfortable. 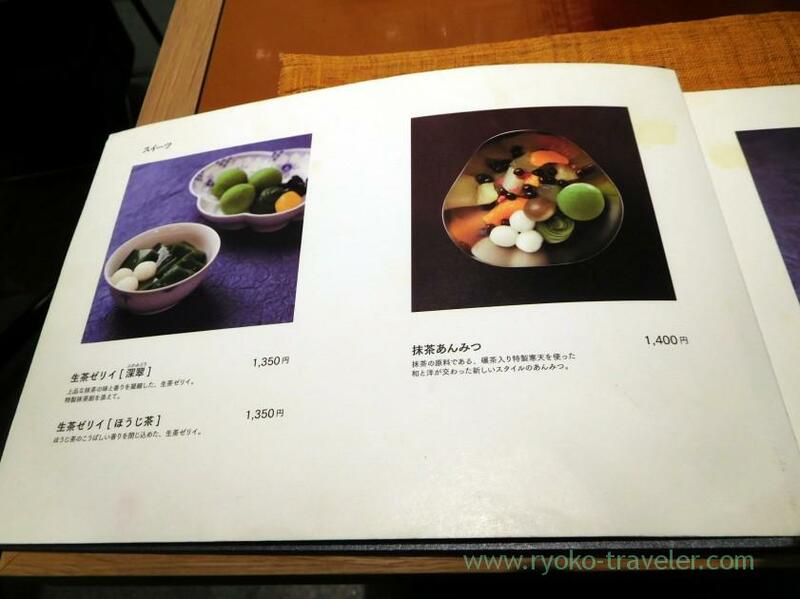 A part of menu book. Almost all food have photo on the menu. Namacha Jelly and parfait is the most popular in the shop. 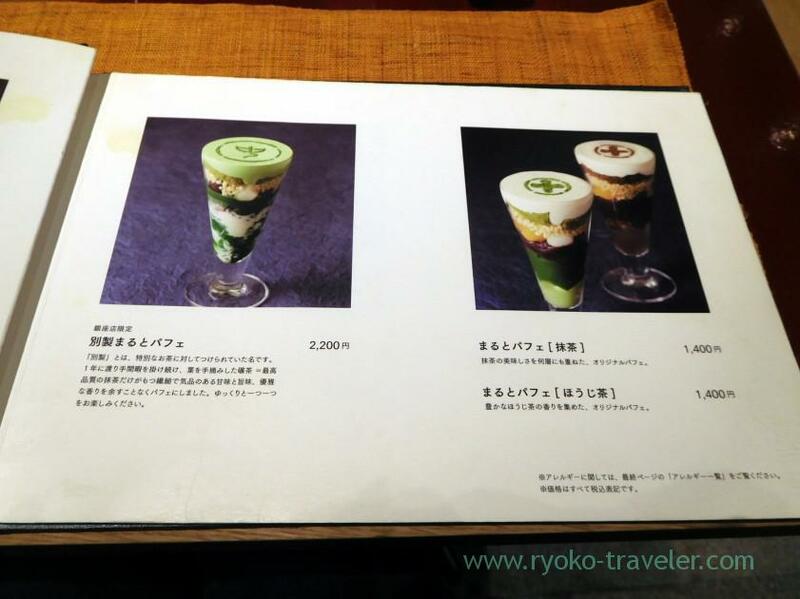 I ordered Namacha jelly (Fuka-midori, 1350 yen). Unexpectedly it was much jelly and ice cream !!!! 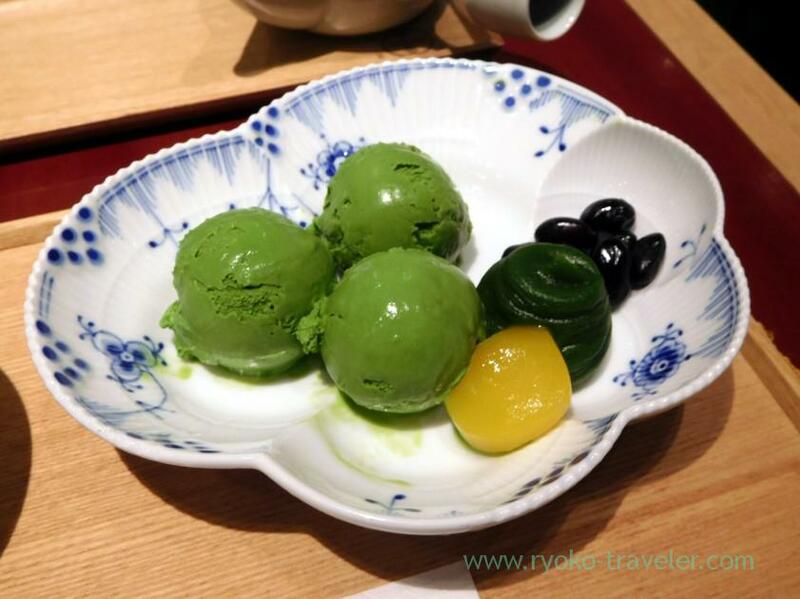 Three small matcha ice cream. “Fukamidori” means deep green. 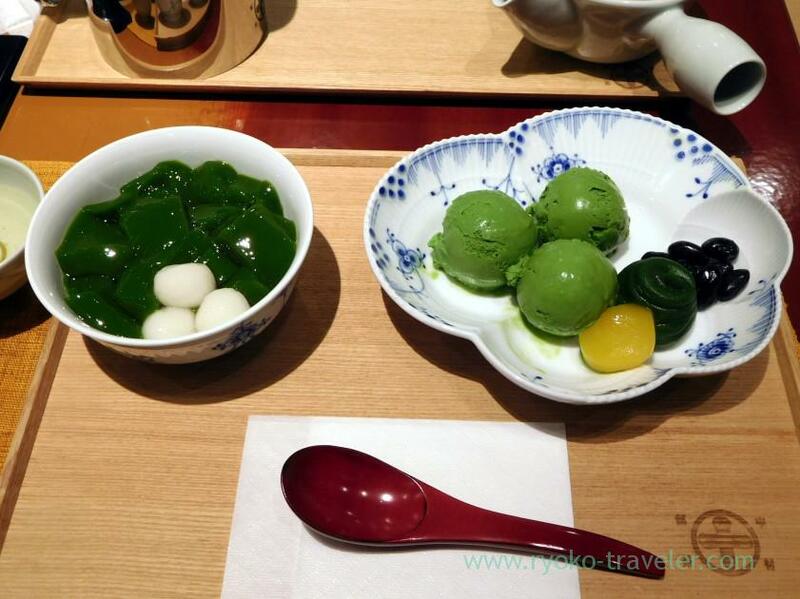 As its name, matcha-flavored beans paste (anko) is such a strong green. This beans paste had really rich tastes, and tasted strong matcha flavor. delicious. Also black beans and chestnut seasoned with sugar was good, too. This is Namacha jelly (matcha). Though the bowl isn’t large, it was filled with jelly. So, it was much more jelly than its looking. As a result it was my dinner. I couldn’t eat something after I got out of the shop. Also three shiratama had springy texture and tasted good. 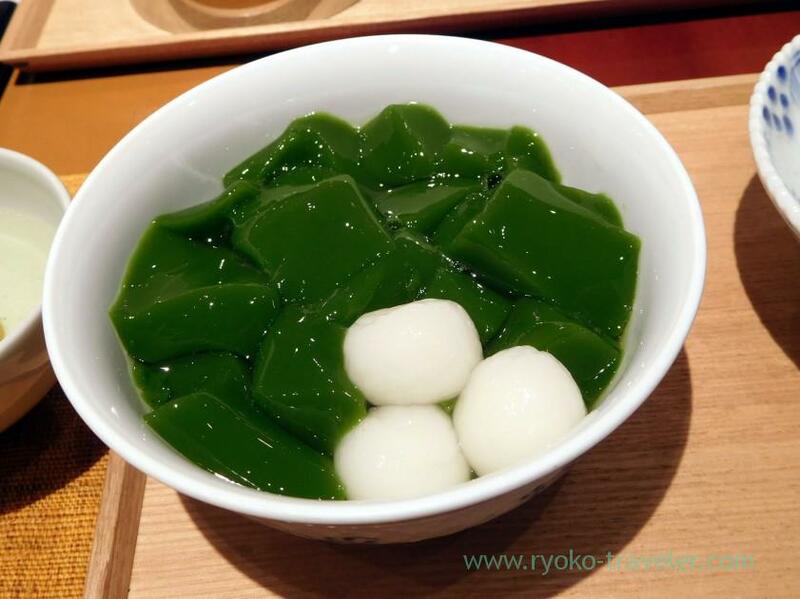 They recommend we eat this jelly without anything for enjoying the rich matcha tastes. And then, they recommend we eat it with matcha ice cream and the beans tastes. 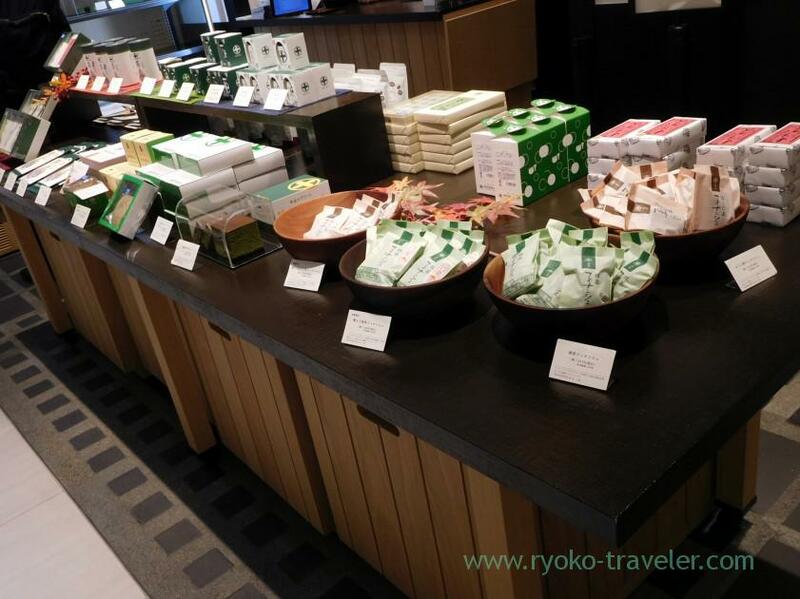 There’re many their products in front of the shop and we can get confectionery and tea produced by Nakamura Tokichi. Of course, we can buy Namacha jelly, too. But it was so popular, and when I visited there, it was already sold out. Some people visit there only for shopping. Open / 10:30 a.m. – 8:30 p.m.